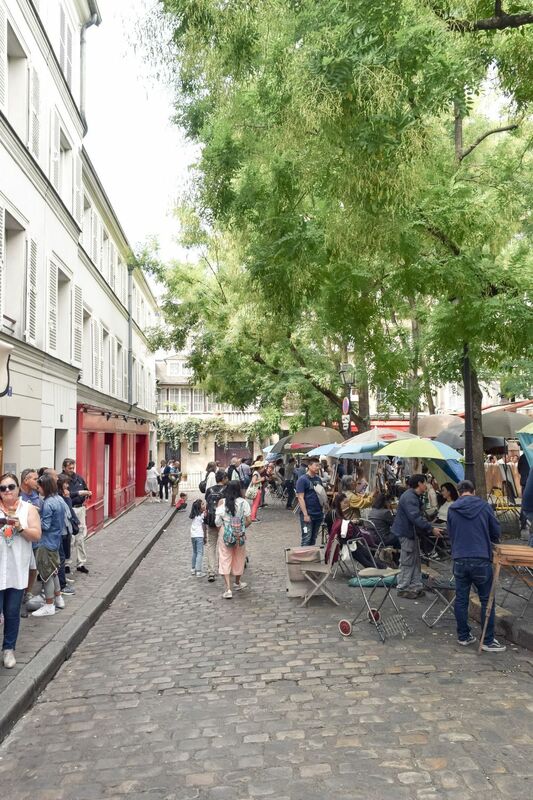 Just a few streets away from the Sacré Cœur lies Place du Tertre, a bustling plaza filled with artists and restaurants in the 18th arrondissement of Paris. 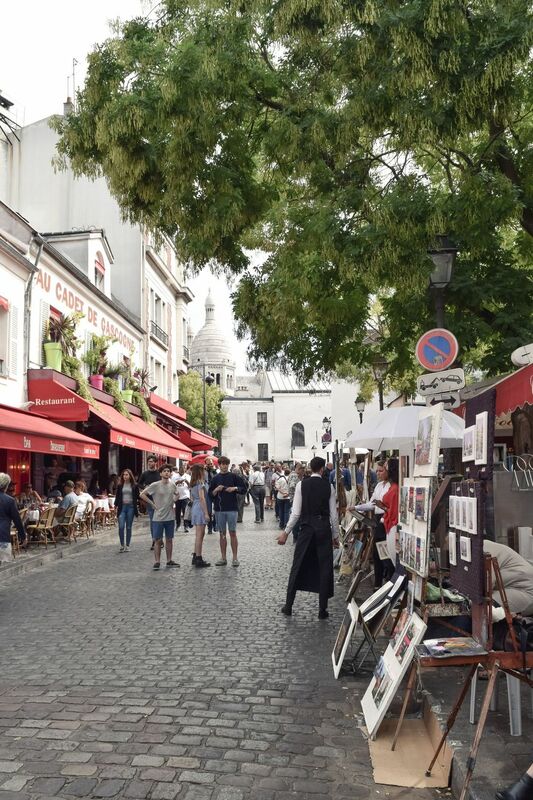 The square has been open to the public since 1635, when it served as a central square in the Montmartre village. The community was filled with artists, creatives and songwriters who were attracted to the village’s affordable prices. 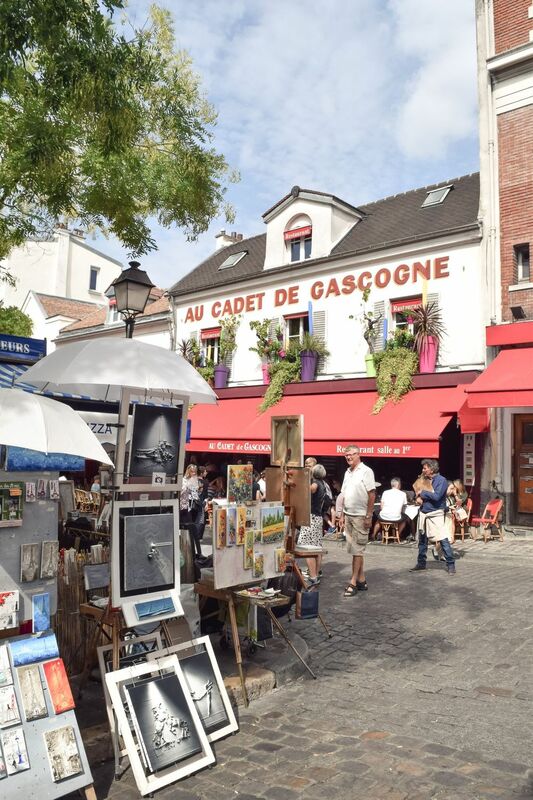 Today, Place du Tertre still has a small-village feel to it. 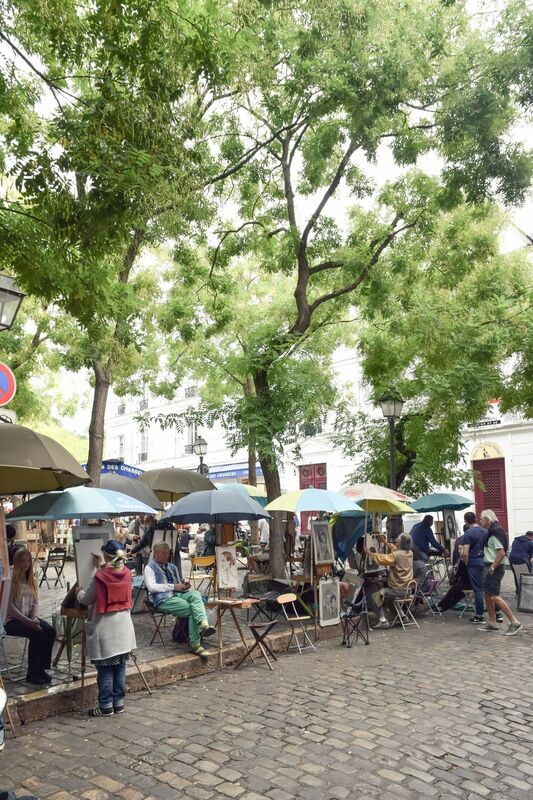 Tertre means small hill, and so Place du Tertre simply means Small Hill Plaza. 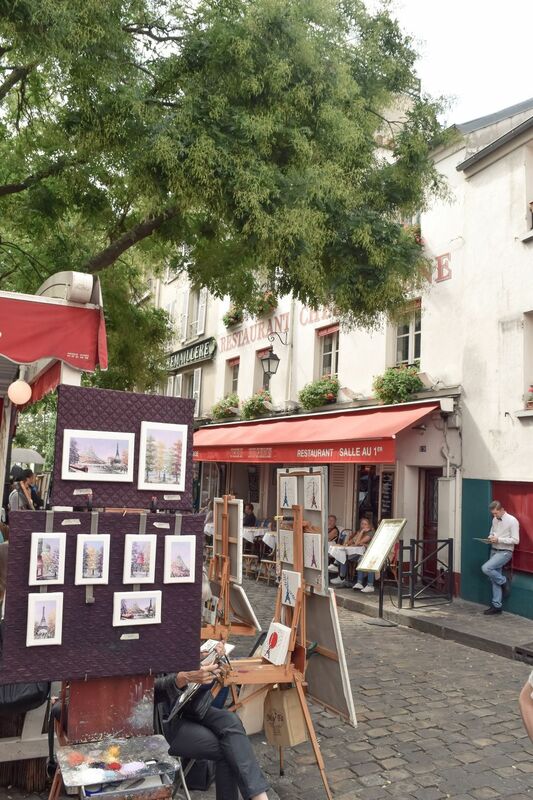 The cobblestone streets are filled with artists who hold portrait sessions for visitors and sell their own small paintings. 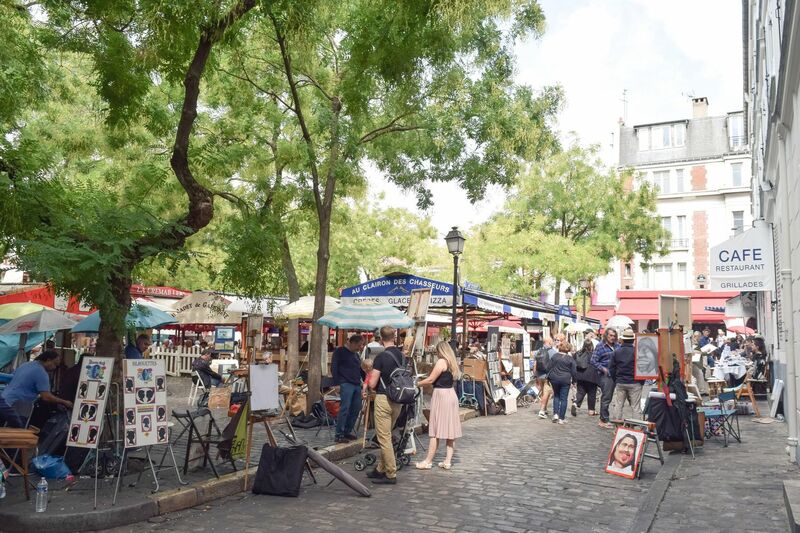 Because the square is so popular among visitors to Paris, it’s very difficult to earn a spot as an artist on the square of Place du Tertre. 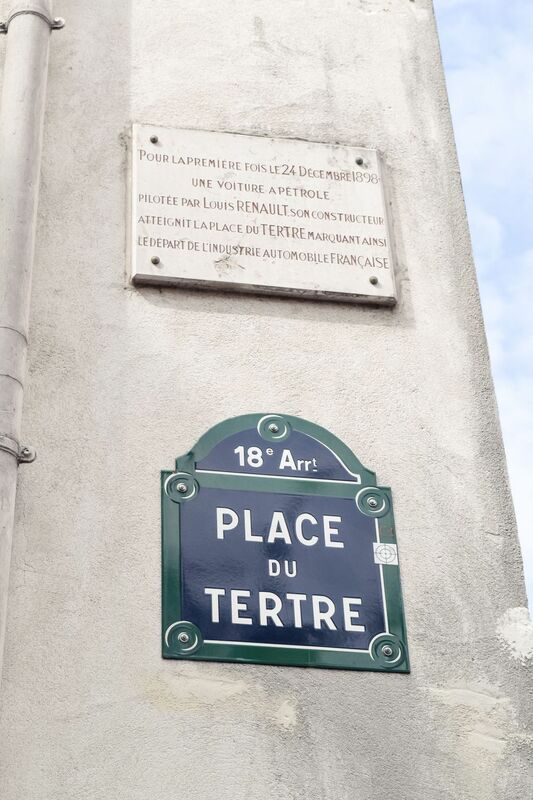 An artist must apply at the town hall of the 18th arrondissement, and even then, the waitlist is about 10 years long! 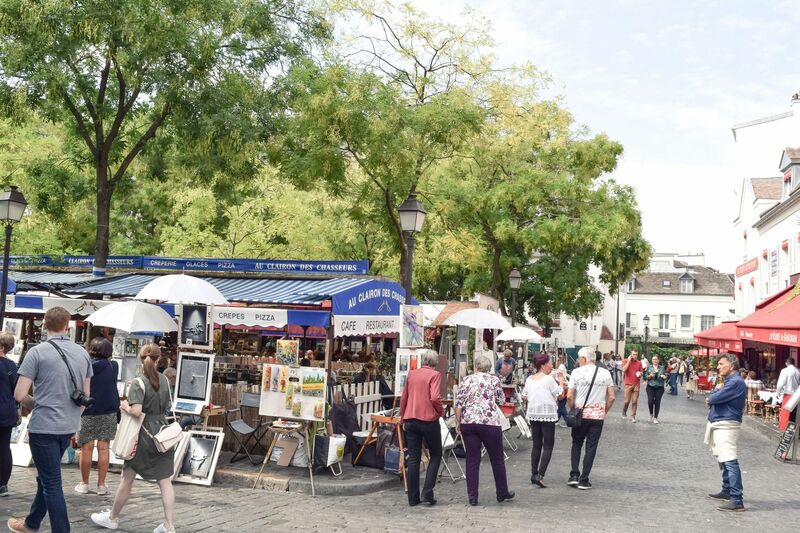 Place du Tertre is absolutely worth a stroll after you visit the stunning Sacré Cœur basilica. 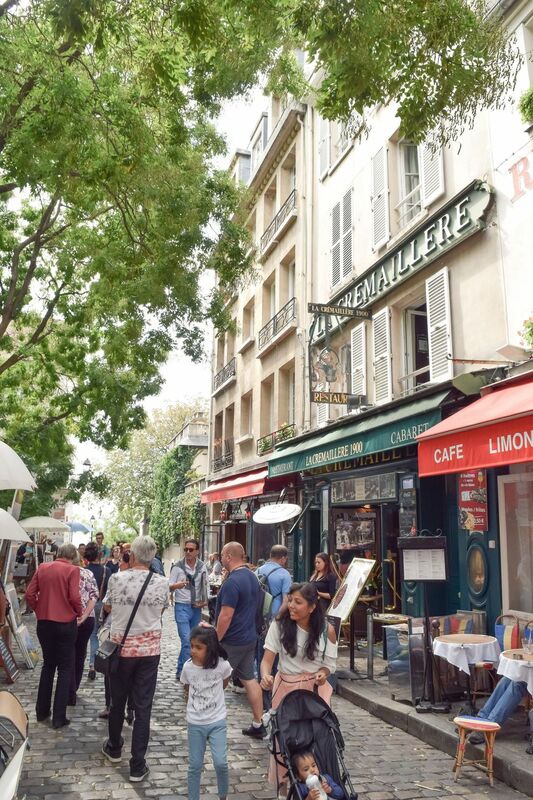 There are plenty of restaurants to stop for a break and enjoy the charm of this small village in a big city like Paris!